Luxe & FabuLuxe Glitter - Sparkle & Co. - 6 grams (Choose from 82 Colors) - Sparkle and Co.
Solvent Resistant Fine Glitter for Nails! 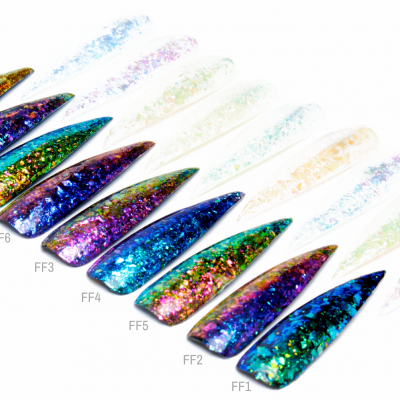 These glitters are specifically designed for nails, they are 100% solvent resistant, which means they won’t fade and will remain super concentrated and sparkly! Each Jar is .21 oz and 6 grams. Approx. 6 tsp. of glitter. One clear mini plastic spoon for scooping will be included with every order. Please see “nail supplies” section for empty plastic jars for color mixing. Each jar contains ONLY glitter. Dip Powder and the 3 liquids are NOT included in this listing; they are sold separately. 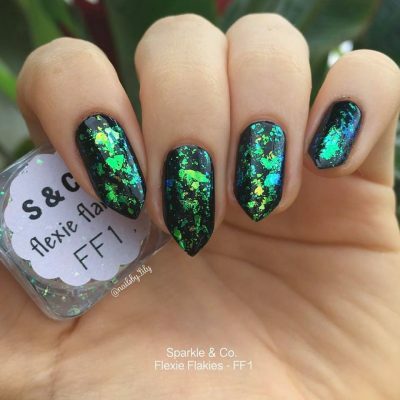 This glitter mixes extremely well with Sparkle & Co. Clear Dip Powder (that is what is on all of the nail samples in the pictures of this listing) or can be mixed in any colored Dip Powder! 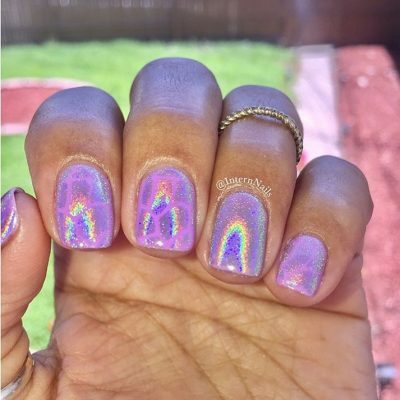 The ratio is 1:1 for full coverage using Clear, so 1 part glitter with 1 part Clear (you could use less than 1:1 ratio if you prefer less glitter). 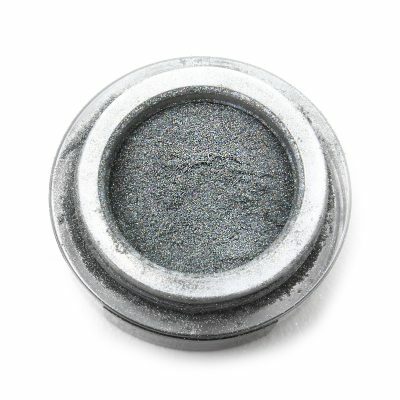 If using with an Color Dip Powder, you may want to use less – since these glitters are very concentrated and could change the color of the powder. Please test a small amount before making a full jar. There are empty jars available as well to make mixing super easy. Just shake well until mixed. OPTION 1: Apply Gel Base and 1-2 Coats of Gel Polish and cure each coat 60s. Dip nail in Luxe Glitter and tap off excess. Then, apply Gel Top and cure 60s. The Gel Top brush will get glitter on it. Clean brush with tissue before placing into bottle. If you don’t mind the Gel Top always having glitter in it, you may want to purchase a separate Gel Top for solid color use when you do not prefer the glitter look. OPTION 2: Apply Gel Base and 1-2 Coats of Gel Polish and cure each coat 60s. On a small disposable plate, mix Gel Top (pour from bottle) and Luxe Glitter with a separate nail brush (sold separately). When mixed, apply this to your nails and cure 60s. No need to remove tacky layer, Gel Top is no wipe. You’re all done!